Great creative and marketing teams are made up of smart, agile and motivated people who are tech savvy and innovative. People who never stop learning, take risks and deliver incredible work. Our 2018 Salary Guide provides the most accurate data you need to recruit, retain and pay these talented professionals. 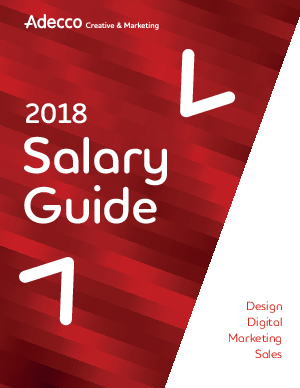 We hope this year’s Salary Guide will give you an edge as you align your business with the right creative and marketing talent.